We have semi-private dining that can comfortably seat up to 40 guests. Elizabeth and I were very excited to open our restaurant in Downtown Stuart. After years of visiting our parents our hearts led us back here each time we considered a different location. Our son Taylor (our Executive Chef) and I, both have a culinary education and all three of us are extremely passionate about quality food,drinks and hospitality. We thoroughly enjoy taking great care of our guests. “the Gafford” is named after my grandparents who taught us how to enjoy life, have fun and laugh (especially at ourselves). My grandfather was in the Air Force and hospitality business all of his life and taught me so much about business, cooking and hospitality. I can remember when I was young visiting my grandparents on their farm. My grandfather used to teach me how to grill. My favorite dish to cook together was a giant Ribeye steak. 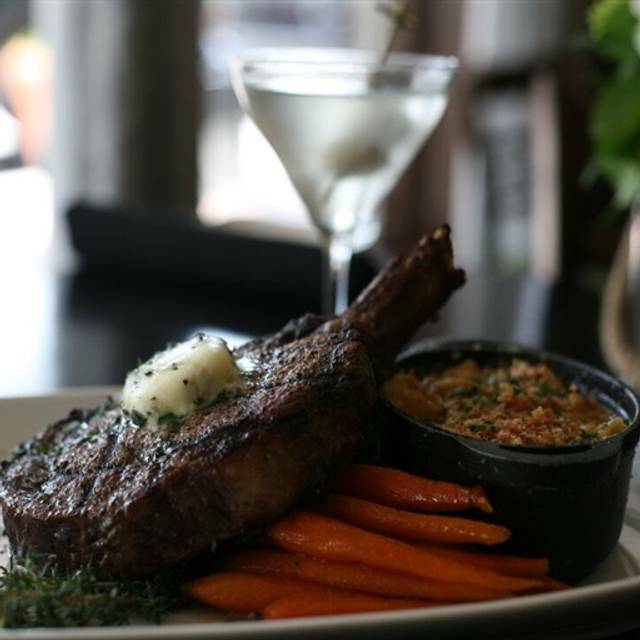 On our menu, that is our signature item and we call it “the Gafford.” Welcome to the Gafford where casual meets upscale. The Gafford has become my favorite restaurant! The entire experience was perfect. It is located in cute area of downtown Stuart with cute boutique shops, and beautiful river walk. The staff was friendly and extremely welcoming! The food was unbelievable, and the chef even took the time to come introduce himself to us and spent time chatting with us even though his shift was over. The fish was fresh, and combined with perfect flavors and combination foods! We cannot wait to return, and highly recommend this restaurant! Classy yet casual! A nice neighorhoody vibe with a very friendly waitstaff. We had such an amazing night out at the Gafford with our friends to celebrate my wife's birthday> Everyone was very impressed and definitely want to come back. The food was simple outstanding. The chef's choice of appetizers were incredible. We had the best service and was very happy that all our friends were very very happy with our choice of the restaurant. We will definitely be back with more friends. Lovely dinner, as always! Trevor and other staff are very attentive. We love this place, amazing food and atmosphere - our favorite!!! This was my second visit and sadly was very disappointed. The service was very slow. it took quite a while for someone to take our drink order, fill water glasses. We ordered Mabel’s Chicken which was fine, very Iberia seasoned. Short ribs were good but could have been cooked a bit longer, a little too stringy. Also had to ask for our side of Mac & cheese that did not arrive with our entrees and took about 10 minutes to bring it to the table. Always a great time at the Gafford! I love it! 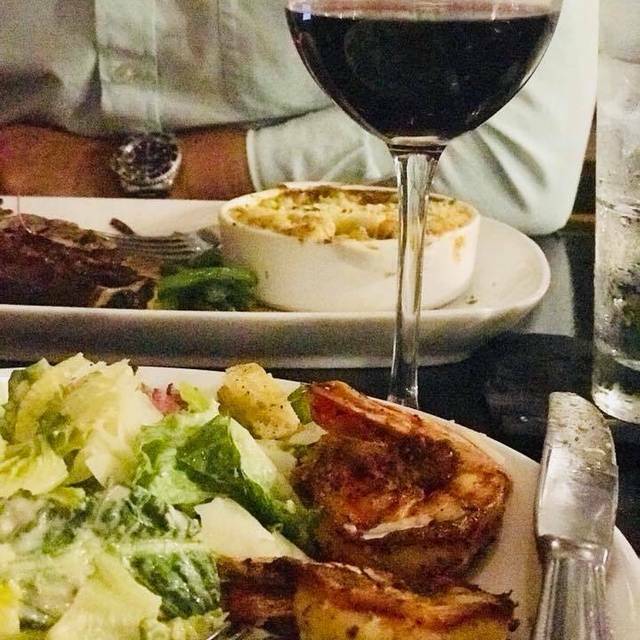 Great drinks and wonderful food! My favorite restaurant in Stuart!!! Always take our guests there! Food is always exceptional! Enjoy Our server and his new trainee. Will be back soon. Loved the round ice cube! The filet mignon was very tender. I ask for medium but it was over cooked. The manager resolved it expeditiously. This is my favorite restaurant in the area. My only disappointment was that you changed the recipe for the Shrimp and Grits (my favorite) and it wasn't as good as before. Fantastic food and service. Can be a bit noisy when crowded. Best dining experience we have had in Florida. A true farm to table - one bite and you know everything was fresh. Can’t wait to enjoy the Gafford again. By far my local favorite. Service staff is friendly, knows the menu and good at recommending. The bar is great (if noisy) and just wish we could get there early enough to get a seat! Food has always been delicious . Always great food in this restaurant . We were there for our anniversary, just two of us. Our waiter Cody almost ruined our experience. His disinterest & dismissive attitude was such a bummer. Never had such a miserable waiter in this restaurant . 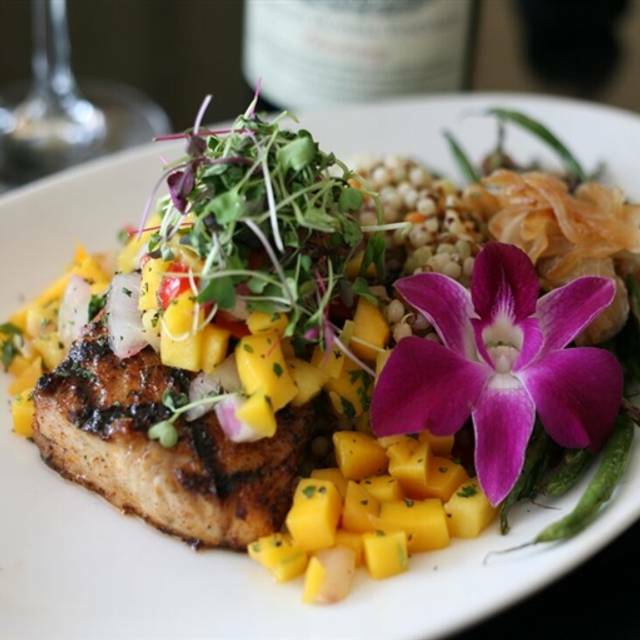 The Gafford is our favorite restaurant in Stuart! 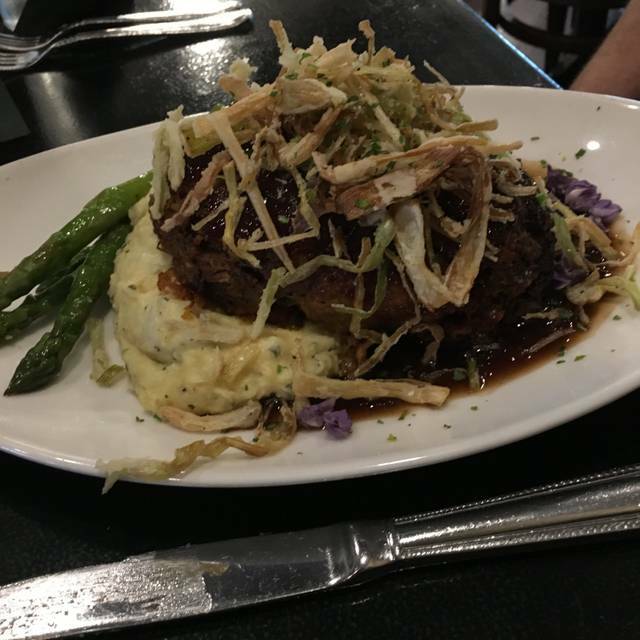 Whenever we have guests in from out of town we make sure to take them to The Gafford. Fried chicken and meatloaf meals were delicious. Our cocktails we good too. Contentious wait staff but not intrusive. Book your reservation early they book up quickly year round! Too full for dessert but they sounded wonderful also. Dinner is fabulous as always. The appetizer was superb and the entree was fantastic as always. Martini was delicious. Consistently the best restaurant in Stuart, FL. Food is always great and service just as good. Great food and service. Friendly and cordial staff - from the owner down to the bussers. My daughter surprised us with a short visit from her home in San Francisco, so she and I had dinner at The Gafford. I had been before—knew how good it was!—knew she’d love it since she’s a foodie at 29 and manages a SF restaurant! Everything we ate was excellent!! The burrata was delicious—perfect spices on the grilled tomatoes—and it all paired perfectly with your great bread!! We had the shrimp and grits—I’ve had them all over the state—these were wonderful!! The sweet potato dish was also incredible!! And the soup of the day was great too!! We had drinks—dirty martini for me, a crafted cocktail for her—I was surprised that the olives were an additional charge for my excellent martini—that has never happened before! And I’m not an espresso drinker, but I felt $5 for that tiny cup was just not right—apparently that’s normal according to my daughter! Love the way the restaurant is configured too! Very nice. Some very creative chefs and a wonderful wait staff—Trenton couldn’t have been better!! Thanks for the great night of food and drink!! We enjoyed the pork chops and snapper as well as the burrata. All were exceptional. We love this restaurant. 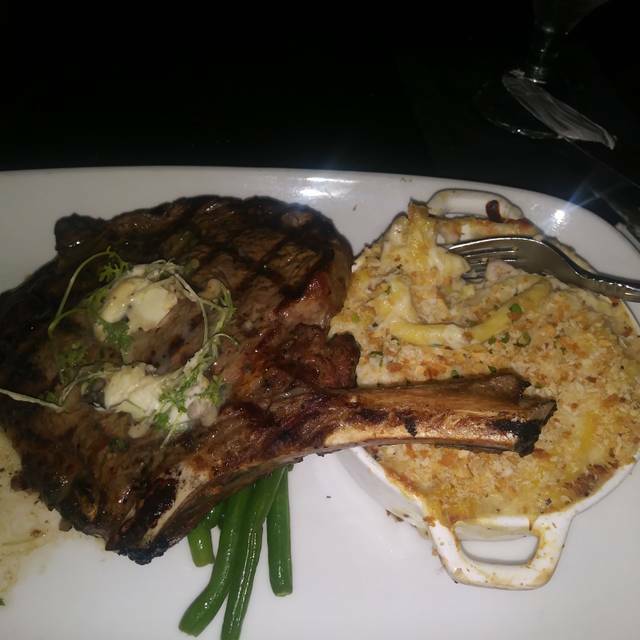 The food is amazing and the service is top notch. We have been several times and have never been disappointed. The staff was accommodating to our special requests and we felt very welcomed. 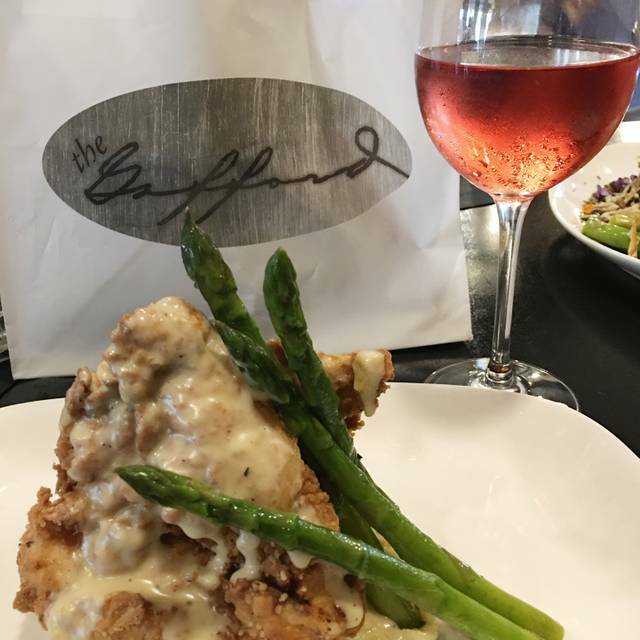 We highly recommend The Gafford. Always great food, expertly prepared! Mabel’s chicken never disappoints! Mic was a great server, making sure everything was fine without being obtrusive. Fantastic quality food extremely well prepared. Great, friendly service. A Wonderfull experience. One of, if not, the best restaurant in Stuart! Love this place....been there 10+ times and never disappointed. I’ve always wanted to go here. The charcuterie tray was delicious. Our server was wonderful. However, my pumpkin pasta and my husband’s meatloaf were very disappointing. I would never order it again. Went there with 3 employees from the company. Atmosphere and service was very relaxed and pleasant. We ordered 4 different items from the standard menu: Short rib, Hanger Steak, Snapper and Mahi. All extremely well prepared. Asked to have the Carrot cake dessert served warm - no problem. Asked for FRESH decaf coffee - no problem.